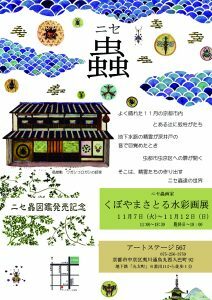 Art Stage 567, in Kyoto, featured Satoru’s original arts of “Nise-mushi Zukan (Imaginary Bugs Visual Dictionary)” from November 7 through 12, 2017. 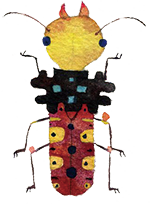 “Nise-Mushi Zukan (Imaginary Bugs Visual Dictionary)” on Sale! Come and visit the Magic land! Discover Satoru’s distinguish paintings and explore the beauty of nature at the Magic Land - Children and grown-ups will find it enjoyable and be surprised how quickly the time passes! We’ll guide you around according to your desired schedule, so please let us know your visit in advance.